Concrete Ghost: A tale of the unexpected, a collaboration born in the blogosphere which came down to earth in concrete form! Di Overton and I literally did meet in cyberspace through a mutual interest in each other's work. 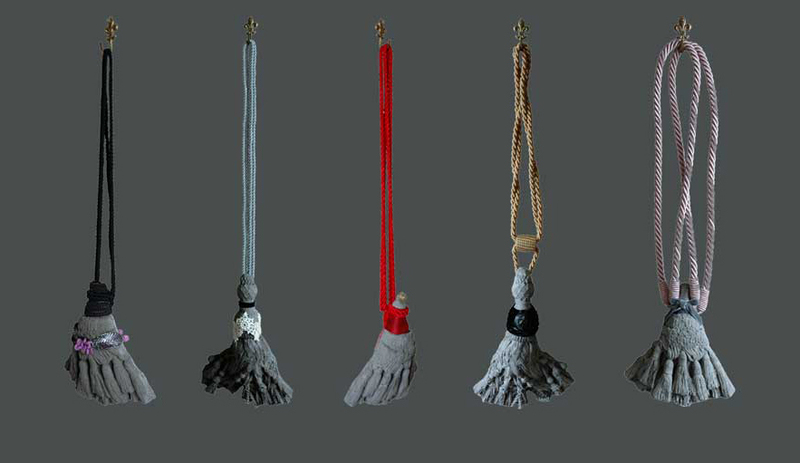 Creating the collection has perfectly combined our skills and interests – I’ve made concrete sculptures by casting directly from real silk tassels and thereafter Di has embellished them with vintage pasementier, turned them into three-dimensional pictures or applied them to choice pieces from her Ghost Furniture range.